Providing personalized on-location full styling to enhance your natural beauty for that very special moment. 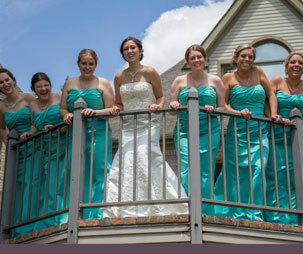 Elegant Bridal Hair & Makeup Design strives to provide exceptional, professional service for your most important day. Let Elegant Bridal Hair & Makeup provide on-location hair and makeup styling to your wedding party to ensure that everyone will look great as well as compliment you as a bride without taking the focus away. 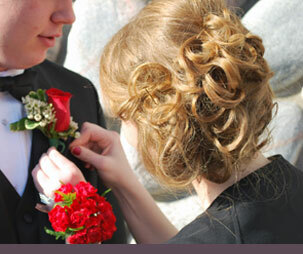 Providing on-location hair and makup styling for special events. Elegant Bridal Hair & Makeup Design strives to provide personalized looks to enhance that special event by making you look beautiful and feel confident. When you want to look your best and feel confident Elegant Bridal Hair & Makeup Design can assist. From individual or group makeup lessons to blowouts and hair extensions, services are not limited to weddings. Elegant Bridal Hair & Makeup Design provides on location Hair & Makeup Services for brides as well has the ablility to accommodate wedding parties. Your walk down the aisle is one of the most beautiful moments in your life and Elegant Bridal is an onsite beauty business devoted to making you and your wedding party look their best by using the finest hair and makeup products and techniques. There are three great bridal packages that are sure to fit your needs on your big day. Explore our bridal services and schedule a meet and greet face to face, where I can personally help you with any questions about our services and products for your special event. Pricing of packages is subject to location. Request Appointment to inquire about your event date and package pricing. Choose from hair trial, makeup trial, rehearsal dinner hair styling or makeup application, bachelorette hair style or makeup, bridal shower hairstyle or makeup. For the bride to be this package caters to not only your wedding day but events leading up to your special day. This package includes hair and makeup on your wedding day, hair trial and makeup trial, an engagement photo hair and makeup session, and your choice between bachelorette hairstyle or makeup and bridal shower hairstyle or makeup. Complimentary Champagne/Mimosas on wedding/special event day with the Radiance and Elegance packages. For the elegant bride to be. After a crazy year of stressful yet fun planning, this package caters to not only your special day, but you can enjoy a day of relaxation after all the chaos is over. This package includes hair and makeup for the day of, hair and makeup trial, an engagement hair and makeup session, and a gift certificate to a local spa to pamper yourself. Offering professional on-location hair and makeup services for special occasions and events in the comfort and relaxation of your own environment. Hair & Makeup styling for photoshoots, prom and homecoming, anniversaries, black tie events, fashion shows, family portraits, graduation, confrences or just for a night out. Request Appointment to inquire about your event date and pricing. Elegant Bridal Hair & Makeup Design services are not limited to weddings and special events. Contact Elegant Bridal Hair & Makeup Design to discuss your specific needs. Learn effective techniques of proper makeup application that you can incorporate into your daily life. I will guide you in choosing products, tools and the proper use for your personal needs to look flawless and fabulous. A relaxing wash paired with expert blow-dry methods and styling. Offering several types of long lasting hair extensions from beaded, taped or micro rings. We will find the optimal extension for you. 2015 Elegant Bridal Hair & Makeup Design. All Rights Reserved.